Following on the previous Artists in Our Midst studio tours featuring Meols and Hoylake artists, Hoylake-based Micheline Robinson has kindly sent in details of an extended programme for 2011. The 3rd Open Studio Tour on the Wirral will be opening many doors on the weekend of the 24th and 25th of September, giving the public a secret peek into the studios of many of the talented artists based in Wirral. The Wirral wide arts trail will have over 30 professional artists, sculptors and creatives of every stripe inviting you to visit their workshops and display spaces. It’s an excellent opportunity to talk first-hand to the artists and to view their work in the environment in which it was created. Wirral Art (previously known as Artists in our Midst) was founded in 2009 by Micheline in order to create a quality arts trail (Open Studio Tour) on the Wirral peninsula. 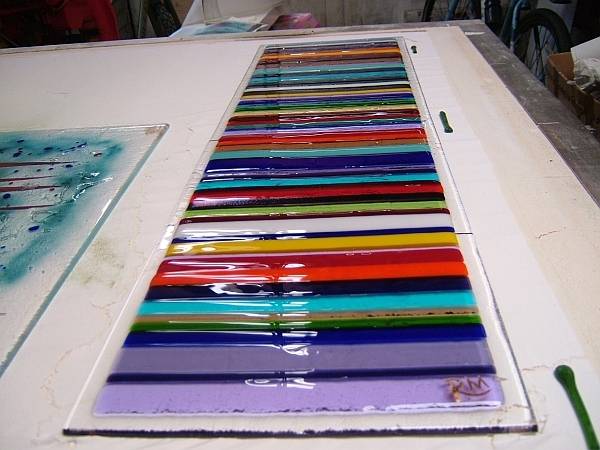 For those who are unfamiliar with a studio tour, it is an event where artists open up their studio spaces to the public in order for people to meet one on one with the artist, to view the work in the location in which it was created, to participate in workshops led by the artists or to just enjoy having a nosey through the various venues. The first open tour took place in the Hoylake/Meols area with 10 artists participating in 2009 and quickly grew into a Wirral-wide tour in 2010 with 26 artists. It was linked to Liverpool’s Independents Biennial and attracted many visitors. This year, the tour has been supported by the National Lottery through Arts Council England. Brochures are available in libraries throughout the Wirral or download a map from the website at: www.wirralart.com. Various venues will be offering workshops and some will even offer a selection of teas, coffees and biscuits. This is a family event not to be missed! I’m trying to get in contact with Robbie McCoy as we commissioned a glass panel but it has become loose in its fixings and is currently not being displayed because of this. Do you have a contact number for him please? I’m not on Facebook or LinkedIn or any of those. Alternatively I am happy for my details to be passed on to him if you would be so kind?